Spring Tea Party - Hej Doll | Simple modern living by Jessica Doll. Last weekend my friend Reichel and I put together a Spring Tea Party to get together with a few of our blogger friends in the area. It had a natural-modern sort of theme to it, with agate trivets and succulents as the centerpieces. We stuck with more muted and neutral tones and I really love how it turned out. Don’t worry if you couldn’t come, we’re each giving away one of the fabulous goodie bags below (two total)! We teamed up for some amazing sponsors for both the party and the goodie bags. Reichel and I made it a point to pick sponsors who were local or have a feel good flair, and we loved being able to share our favorites with friends. Read on for the details! Most of the decor was from World Market. We specifically used the hanging glass orbs (with flameless tea candles), agate trivets / cheese boards, stacking plates set, stemless wine glasses, grey linen napkins, white oval bowls (sugar cubes are in them), and bubble glass lanterns as vases. You can also get the glass tea kettles here, the creamer here, and the marble serveware here & here. We teamed up with Munchery for the food and the Art of Tea for our teas. Reichel uses Munchery all the time and has completely turned me on to it. The food was delicious, and they brought it righ to us! What more could you ask for? The Art of Tea sent us a few delicious tea samples for our drinks, and a few small tins for our goodie bags too. Each tea was very delicious, but I think my favorite was Amoré. It was sweet, but not too sweet and I really like that in my teas. TheBouqs was kind enough to send over some beautiful flowers for the party. They even had a succulent in them, which was so perfect. I’ve actually been stalking this exact bouq for awhile, so I’m so happy we were able to get them for the party. It’s bloomed out even more since then and while it’s not a combination I would think to do before, it all goes together beautifully. Herbivore sent us their Rose Hibiscus Hydrating Face Mist and Rose Lip Butter. I’ve been using them for quite some time, and even featured them in my natural skincare review, so I’m very excited to partner with them. Love Goodly is a subscription service that Reichel turned me on to. They curate bi-monthly boxes that focus on eco-friendly and cruelty-free companies. They sent us some of their Green Molecule product as well as a gift card to use on their site. Zady considers them a lifestyle destination for conscious customers. I’ve definitely talked about them before, as they are one of my favorite feel good shops. They offered a wonderful discount for our goodie bags. Reichel discovered this place when they opened up a location near her (and me too, ha!). They combine exotic fruits and nuts together to make a delicious bowl to enjoy as is, or as Reichel likes to do, freeze them for dessert later. Reichel found this shop when she ordered organic lavender sugar cubes for the party. They offered to send over some other goodies for the party and bag, so we got to sample organic rosemary and pine nut toffee, organic floral bark, and popping berry crunch which is like organic pop rocks (my fav!). For the goodie bags we got to sample a couple of their fun lollipop flavors. The Art of Tea gave everyone some sample tins in the goodie bags so they can take their favorites home. The Bouqs also gave everyone a coupon code to use when they order flowers. Yay! We got these adorable bud vases from World Market to put each gift bag. They’re perfect for a single bloom. I’m excited to announce that you can enter to win one of the goodie bags from the party, and entry is super easy! Just enter via the widget below. i love the bouqs coupon!! I love the rose lip balm! Would love to try the Herbivore Face Mist! I love the Herbivore face mist! This is such a cute Spring tea party. I haven’t seen anything like this before. I really love all the decorations. omg I would die to come to a tea party like this! the theme is perfectly executed!! The succulents are the best little accent! thank you so much for hosting such a wonderful tea party! it was a great opportunity to mingle with and meet local bloggers. I am totally taking inspiration from you in how you styled your event. The neutrals actually create a really powerful and positive vibe. And am so loving how a lot is from World Market! 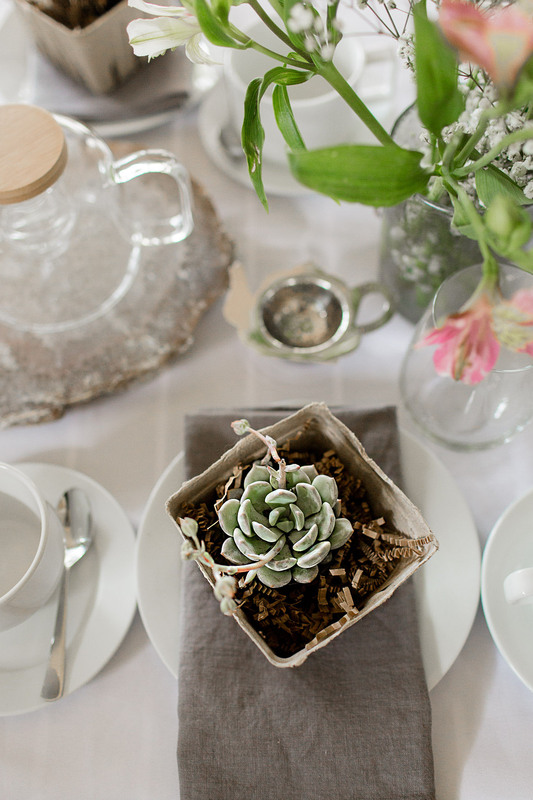 I so love them – and love how you styled it with their worldly touches! omg how gorgeous!!! this entire setup is to die for! looks like a blast! What a gorgeous event y’all put together! Everything looks so lovely. this is ADORABLE! I would love to be there!! The set up and decor was just gorgeous! I am obsessed with the floral arrangements! Love this set up! I want to have a grown up tea party! ha. I actually just got some succulents and I’m obsessed, I’ve never had them before! Wow, that looks absolutely lovely! Great quality photos too. Don’t miss my post about the perfect spring party dresses!